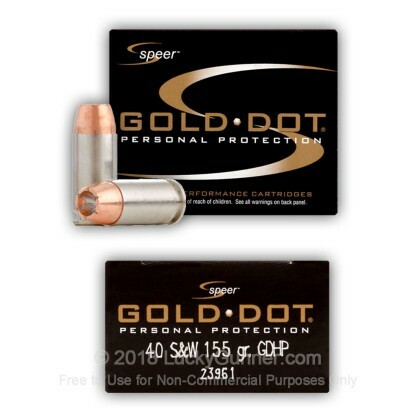 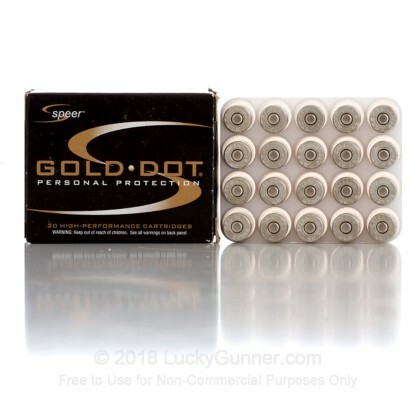 Speer's premium 40 S&W Gold Dot line of JHP defense ammunition is a great choice for personal protection. 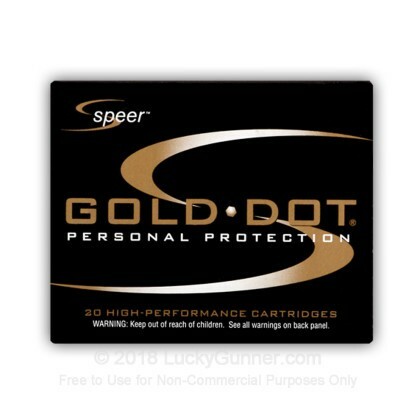 We test-fired five rounds of .40 S&W Speer 155 gr Gold Dot into synthetic ballistic gelatin to observe its expansion and penetration characteristics. 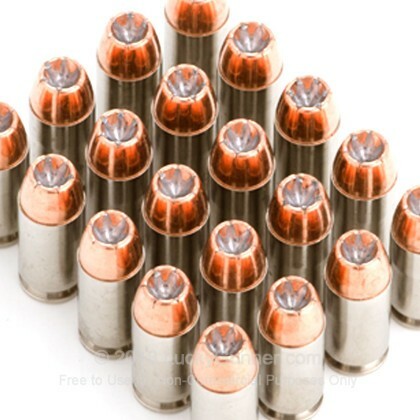 The ammo was fired from a Glock 27 pistol at a distance of 10 feet. 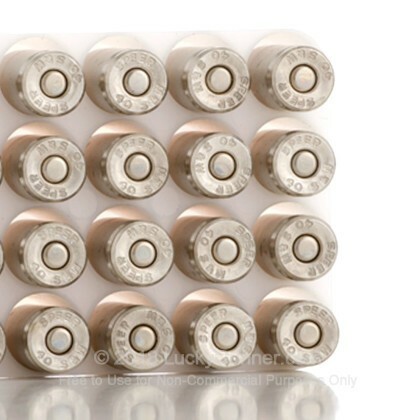 A four-layer barrier of heavy fabric was placed in front of the gelatin to simulate clothing. 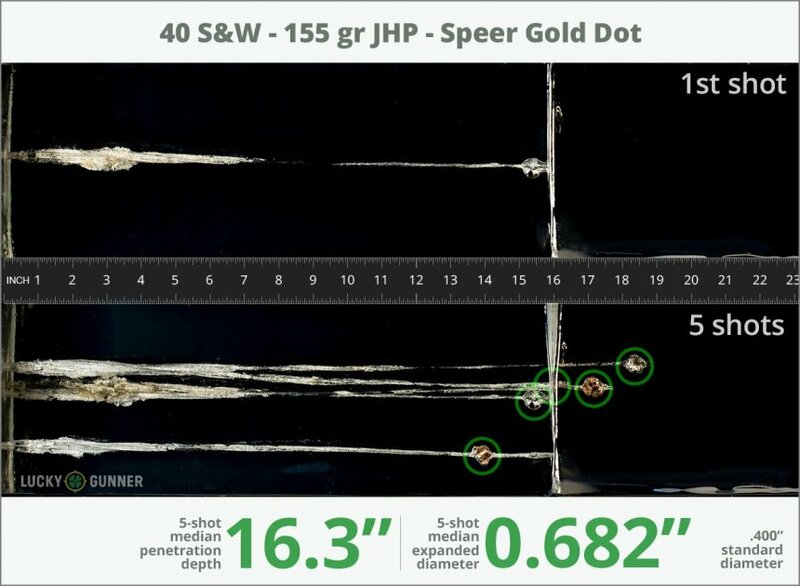 The complete data for this load from our test can be found on the chart below. 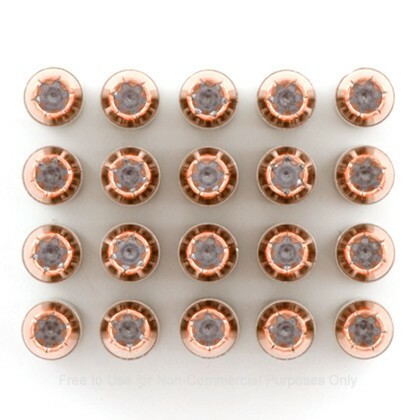 The photo slider displays the expanded bullets that were retrieved from the gel. 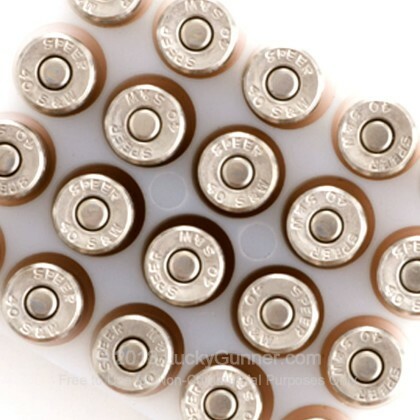 Pictured below is a high speed video that shows the bullet entering the gel at approximately 10,000 frames per second. 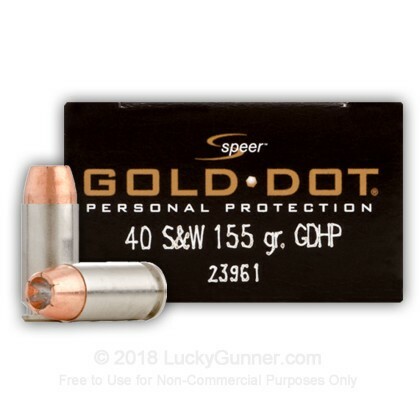 The diagrams at the bottom of the page should give you an idea of how this load compares to other .40 S&W loads. 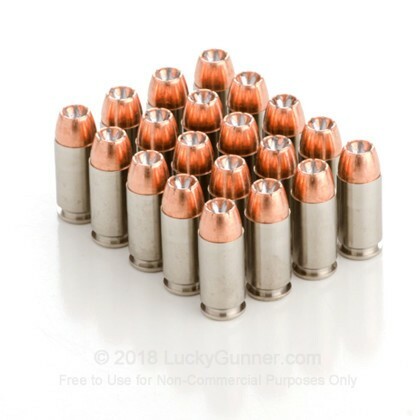 0.89" This ammo: 0.682" Min: 0.39" Median: 0.65" Max: 0.89"
16.3" 0" 9.8" 16.5" 32" This ammo: 16.3" Min: 9.8" Median: 16.5" Max: 32"
I found this ammo for $0.50 / round, $25 for a Law Enforcement box of 50 rounds. 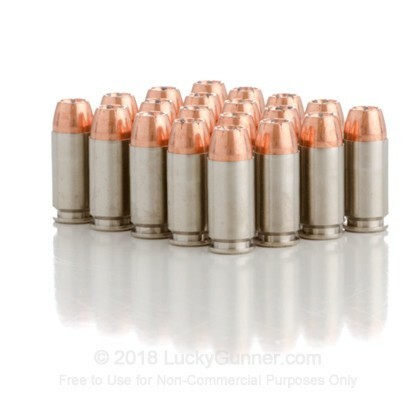 This is now my EDC ammo. 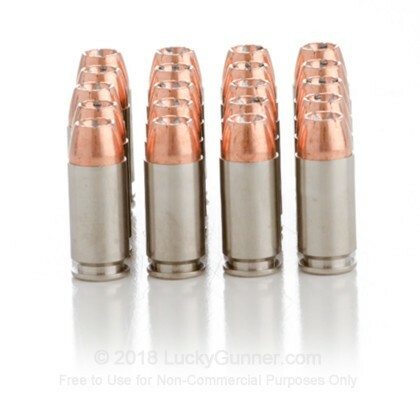 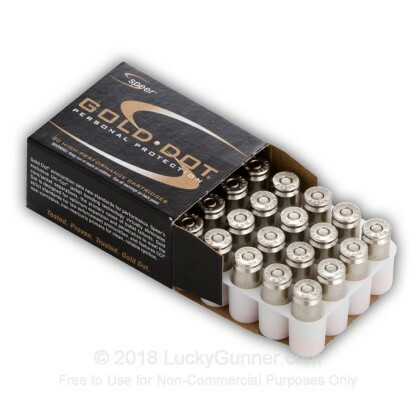 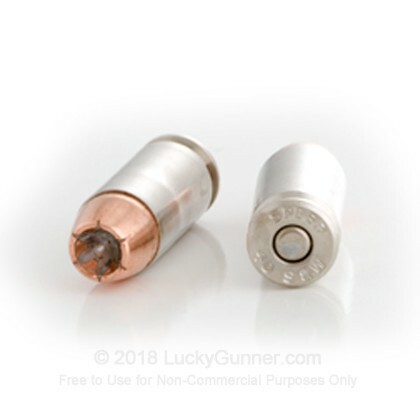 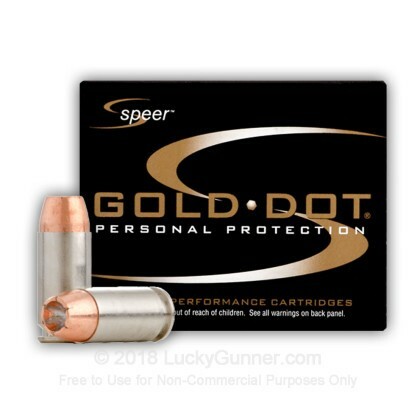 Renowned Speer Gold Dot performance, 496 ft-lbs rated muzzle energy, and as this LG test shows s great combination of expansion and penetration, as well as nickel plated brass cases.